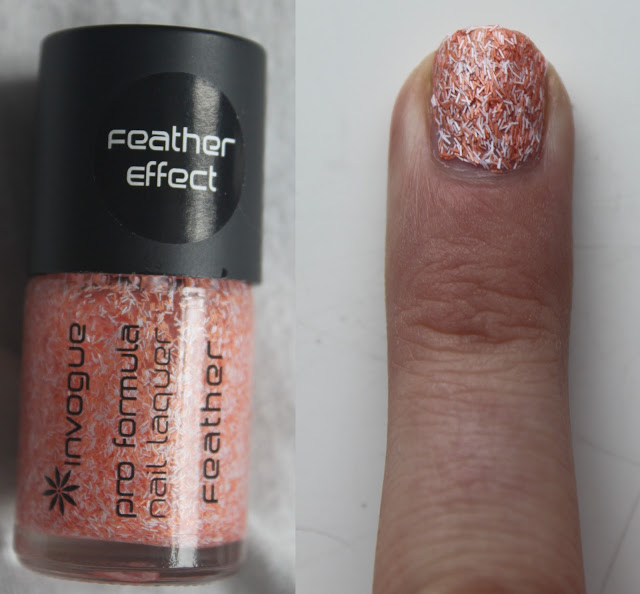 The Mermaid Life: NAILS INC FEATHERS DUPES - INVOGUE FEATHER EFFECT NAIL VARNISHES IN SUNSET, ON THE MONEY, PARAKEET AND JAYE BIRD. NAILS INC FEATHERS DUPES - INVOGUE FEATHER EFFECT NAIL VARNISHES IN SUNSET, ON THE MONEY, PARAKEET AND JAYE BIRD. I've had these for about a month now and was so excited to try them out after the hype of Nails Inc releasing the feather trend. 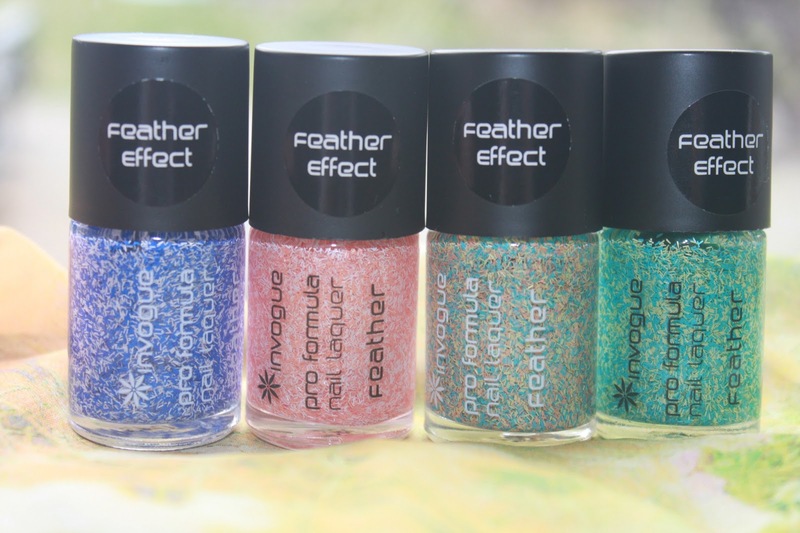 I was tempted by the Nails Inc feather effect polishes but couldn't afford them at the time and found these on the shelves on Superdrug for £3.49. I was super excited to try them out! So no further ado, let's see the colours! Very much like York from Nails Inc.
Parakeet is a pretty shade full of pastel peach, yellow and blue. Very much like Chester from Nails Inc.
white or gray with its electric blue and white pieces. 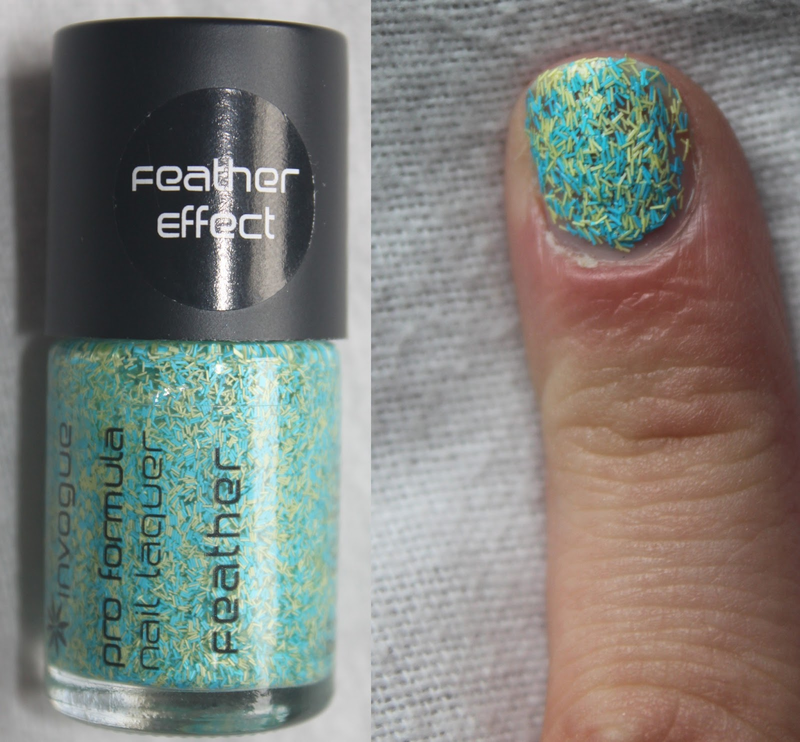 Very much like Cornwall by Nails Inc.
gorgeous and makes a pretty addition to a nail polish. Very much like Brighton by Nails Inc. So what do I think of them? They're a bargain and identical to the Nails Inc colours. However I find the feather effects a bit of a pain. Once applied as a top coat to a polish you have to file down the ends of the nails to stop those sharp pieces hurting! I reached to get something out of my eye and hurt myself, owch! Then I advise to pop on a clear coat as they tend to catch. Once those 2 things are out of the way you're good to go. Another thing is it layers really well on the nails just on it's own, but literally chips and peels off almost instantly, so I'll keep using it as a topcoat! I showed you the shades on their own for the purpose of the pictures. I really do love these colours and I really cannot wait to use them more. However I couldn't find these in my Colchester Superdrug but found these in my Norwich branch, so you might not be able to get them in store. Grab them online at OhBeauty with free first class delivery at the moment for £4.49. What do you think of the trend? I LOVE the first one! Super pretty! 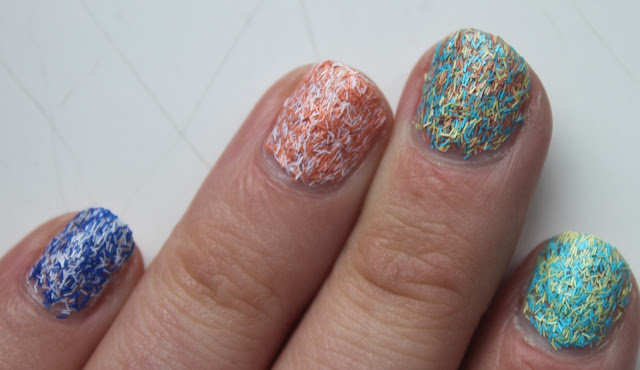 The Nails Inc. ones looked so interesting and these look like such great dupes! Sunset and Parakeet are gorgeous, great post! These look like really great dupes! 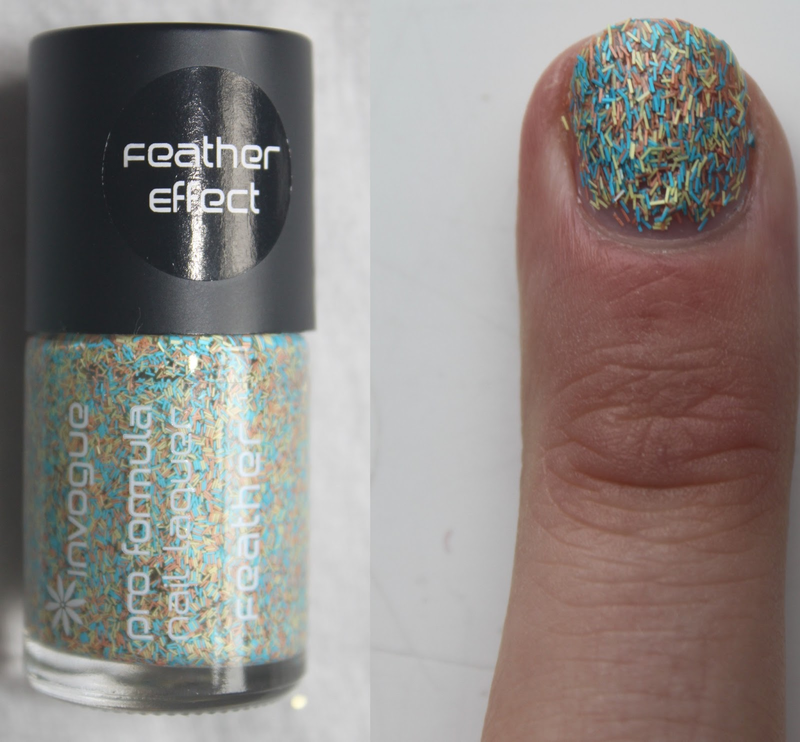 I really want to like textured nail polishes but I just don't like the finish of them :( these are better than others i've seen, though. What are they like to remove? I thought I saw somebody say that they were more difficult to remove than glitter (which to me means virtually impossible! )?